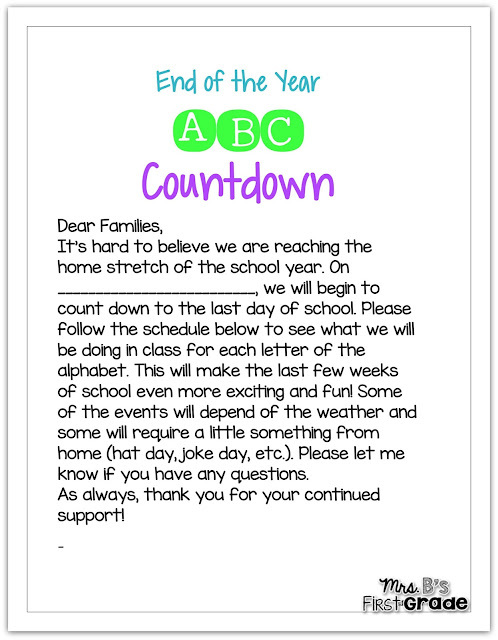 Ending the year with an ABC Countdown can be so much fun! 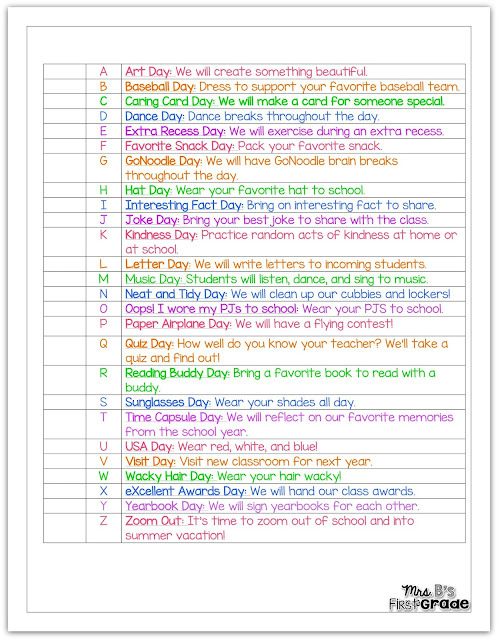 It makes the last 26 days of school enjoyable and a celebration of the hard work throughout the year. 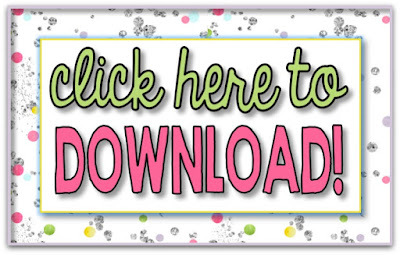 Click below to download an ABC Countdown for your classroom! You can hand write in the dates so that they match your school's calendar.